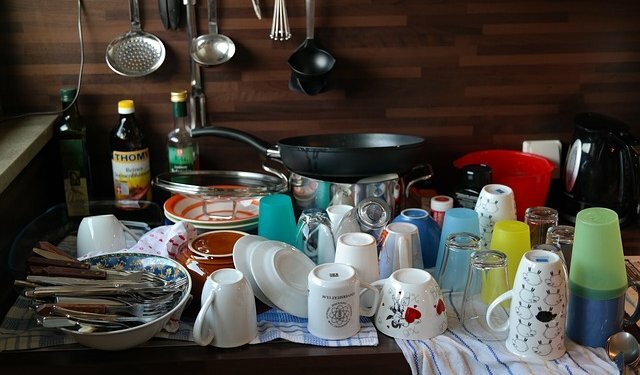 For a while everyone believed that washing dishes by hand was more environmentally friendly and efficient than using a dishwasher. In recent years minds have changed, and now everyone thinks that using a dishwasher is better. I have to say I’m still on the side of hand washing, and I have my reasons why. I think that the data on handwashing vs. using a dishwasher is skewed. All of the comparisons that I have read compare a dishwasher to a person standing at the sink with the tap running at full bore on nearly full hot for the entire duration of the washing session. Obviously, that would be far less efficient than a newer model dishwasher. However, that’s not actually how smart people do their dishes. When I do dishes, I do them in one of two ways. 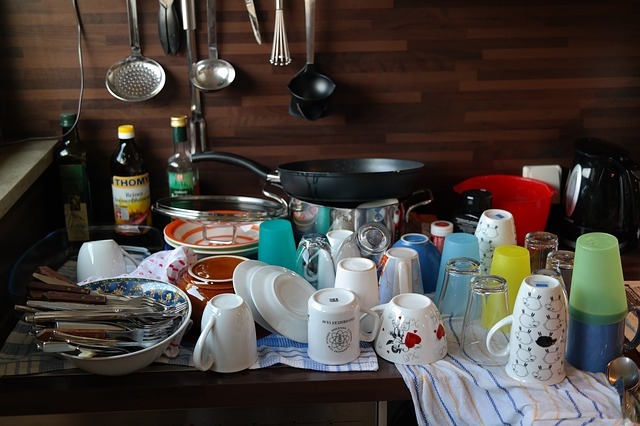 One is to partly fill the sink with hot, soapy water, wash the dishes in it, then rinse them. I rinse with hot water, but not running at full tilt. The tap is at most on 50% capacity. The other way is with the water running, which is how I usually do after diner dishes. At that time I am running the tap with 50% hot/cold temperature and the tap is running at maybe 30% flow capacity. Either way, I’m using significantly less water, and less hot water, than what they use in efficiency comparisons. Another thing they don’t seem to take into account is people who don’t have the latest Energy Star rated dishwasher. The older models aren’t nearly as efficient as the new ones, and that plays a role in whether one method is more efficient than the other. It seems to me that the may be publishing skewed data to play on people’s desire to be more environmentally friendly just so that they can sell more appliances. In the end, I think people should do what they think is best, but they should also really think before making a choice. We do most of our washing by hand and only use the dishwasher from time to time. I don’t think our old dishwasher is nearly as efficient as washing by hand, plus handwashing uses a lot less soap and therefore costs less. Like anything in life, I recommend doing your research and not taking any one source’s word as truth, especially if that source is making money off what they’re telling you. Yep. Making money from it = don’t trust the source.